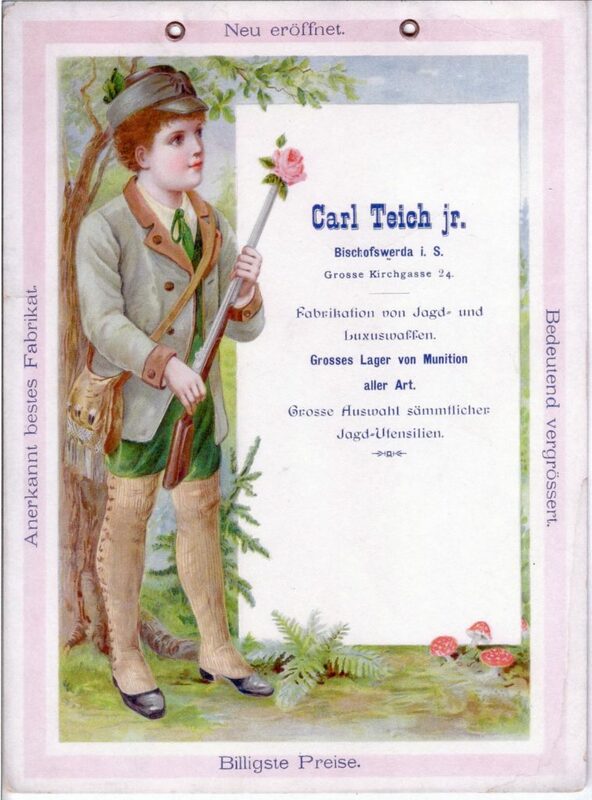 A Trade Card for the firm operated by Carl Teich Jr. The firm of Carl Teich was founded in 1854 in Bischofswerda, Saxony as a weapon repair shop. Bischofswerda is situated about 25 miles east of Dresden. Carl was evidently a successful country gunsmith who carried on an extensive retail business. In the 1880’s he described his business as “Gunsmiths, Makers and Retailers of Hunting Arms, Target Rifles and Ammunition”. Flintenkalle found many records of business transactions between Teich and other firms between the years 1883 and 1896. Evidently those years were when he was at the peak of his retail trade. Teich purchased vast quantities of ammunition from the Schönebeck firm of Sellier and Bellot. A Receipt from as late as 1917 bears this out. He purchased firearms from many firms in Suhl, Zella-Mehlis and from Belgian firms. 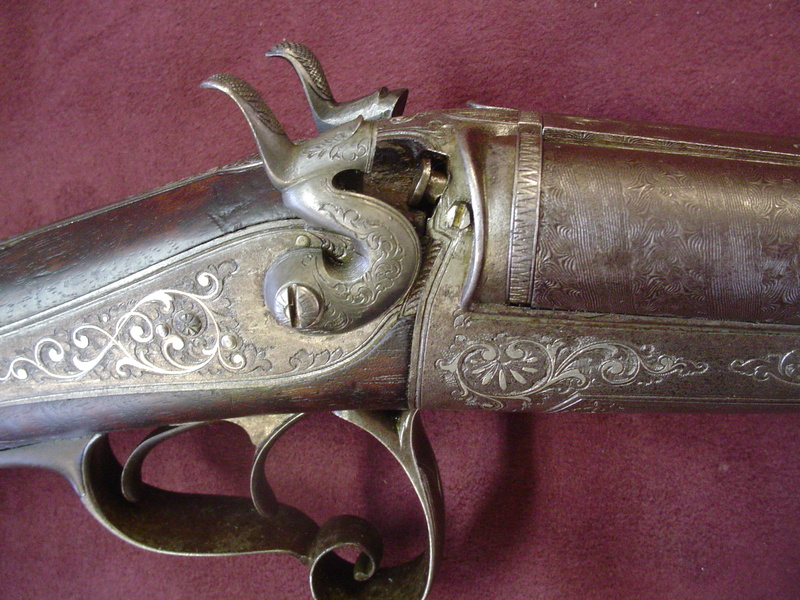 They were themselves both manufacturers and retailers of guns made by others. Three generations of Carl teich’s ran the firm. Carl Teich Jr. expanded the manufacturing facility to include bicycles and sewing machines. Activities after 1945 were limited to repair and possibly some manufacturing of bicycles, sewing macines and pneumatic pellet guns. The business closed in 1986 or 1987. It is interesting to note that a picture of a bicycle tag or metal badge contains the image of an Angel with spread wings holding a shield which has crossed Crozier’s and four six pointed stars. This is the Coat of Arms for the city of Bischofswerda which is based on a 14th century seal. The City was founded in the 13th Century by the Bishops of Meissen and remained under their authority until 1559. 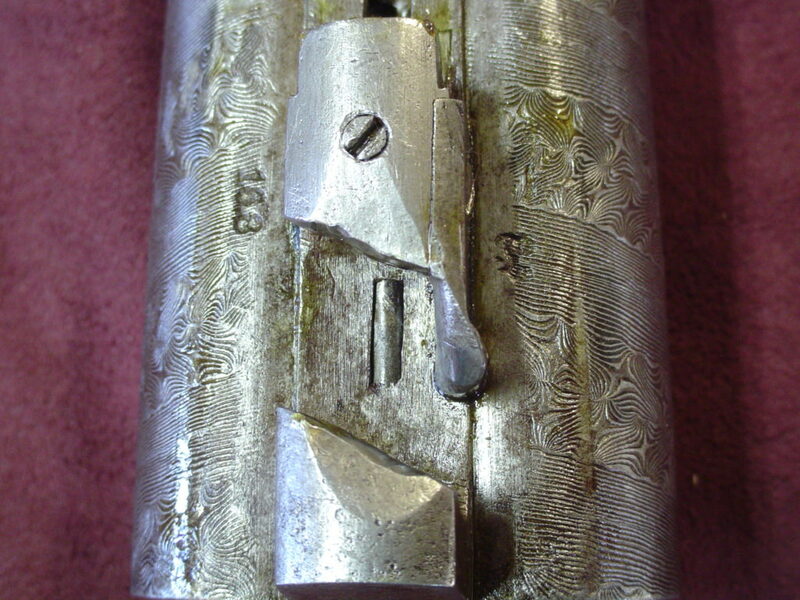 The pictures with this article shows a 16 ga. side by side shotgun with a Lefaucheux lever lock up. 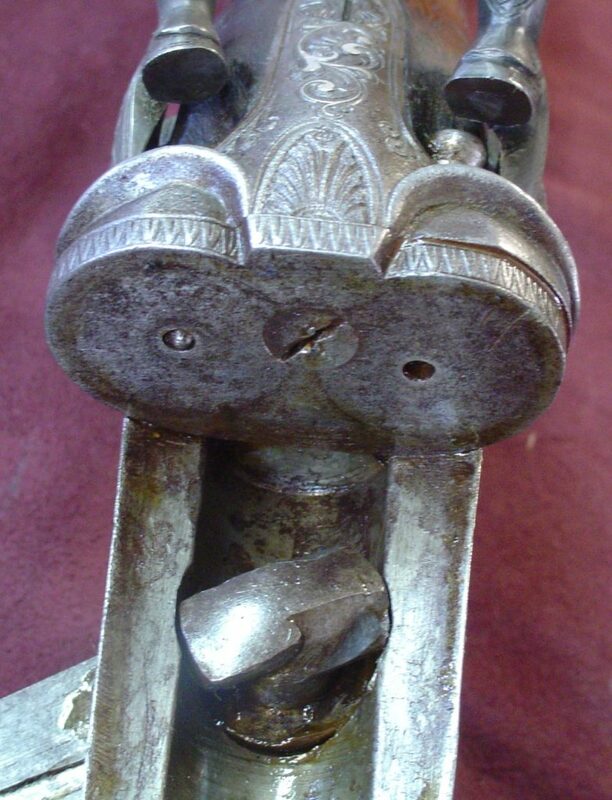 It was originally made as a pinfire and at some later time was converted to center fire. It has barrels made in Double Damascus Twist pattern. 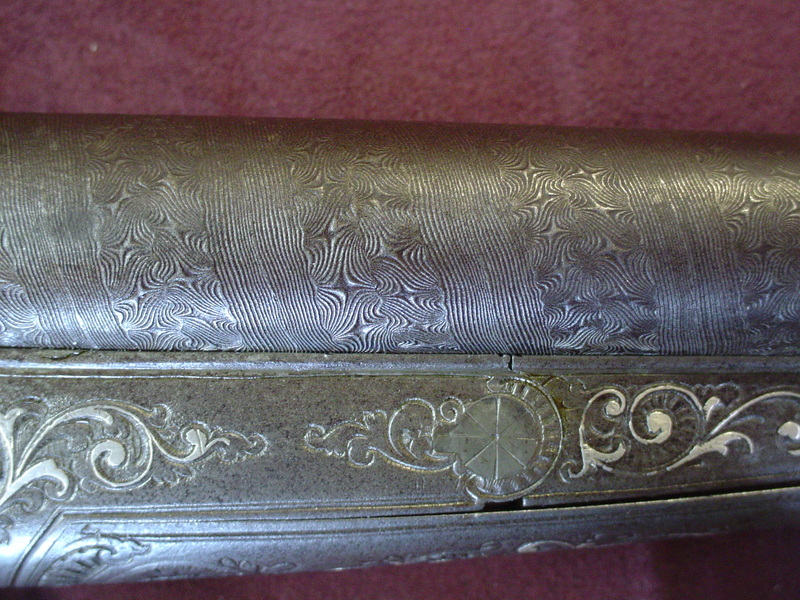 The name “Carl Teich in Bischofswerda” and the scroll engraving is inlaid in silver. 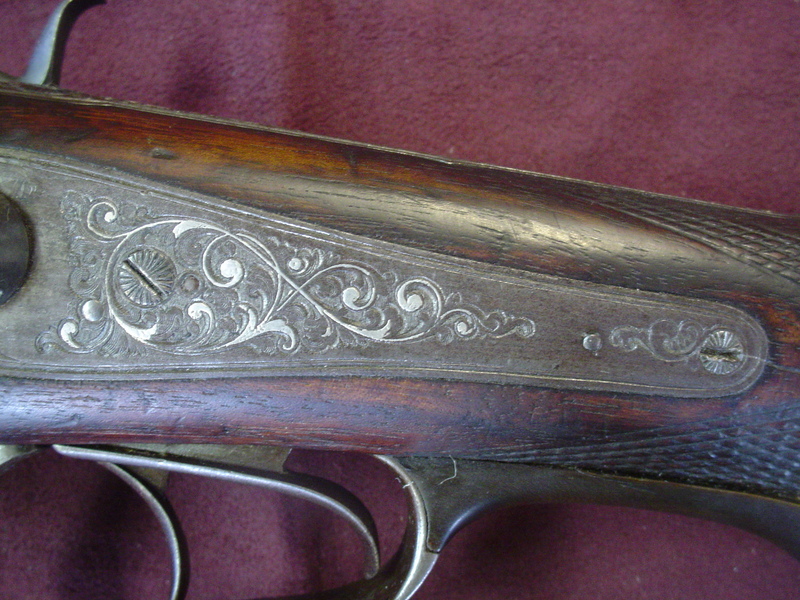 I personally believe that this shotgun was made and decorated entirely in Belgium for Carl Teich. 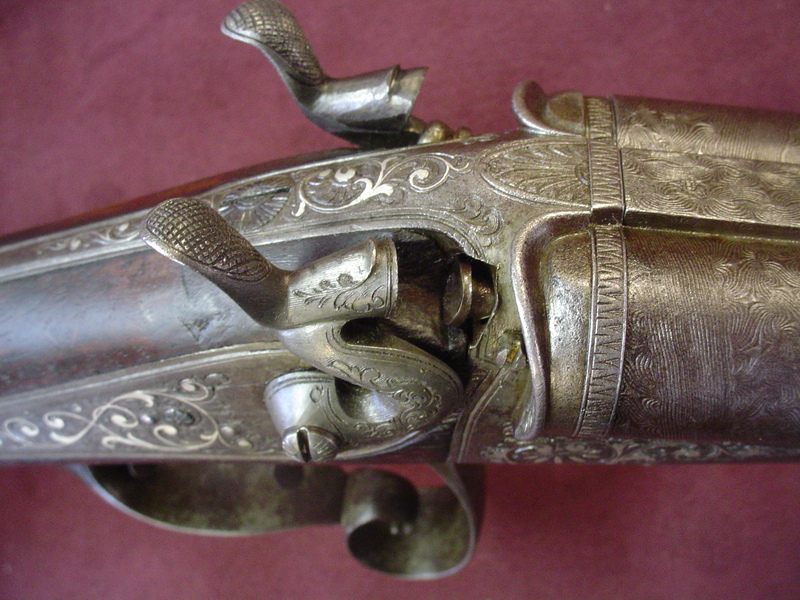 It has the Belgian provisional black powder proof mark on the bottom of the left barrel. The information in this article was generously supplied by Axel Pantermühl, Flinntenkalle, Axel Eichendorff, Hendrik Frühauf and Peter-Josef Schmidt. 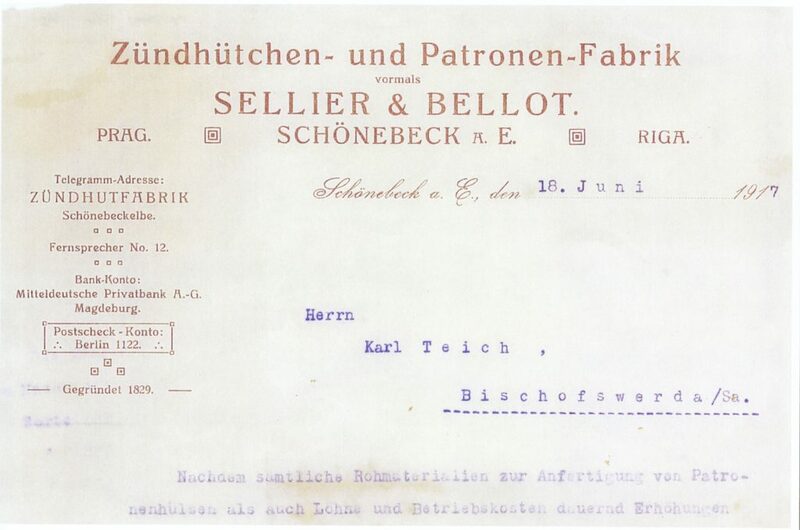 A receipt from 1917 showing that Carl (Karl) Teich purchased ammuntion from the firm of Sellier & Bellot. 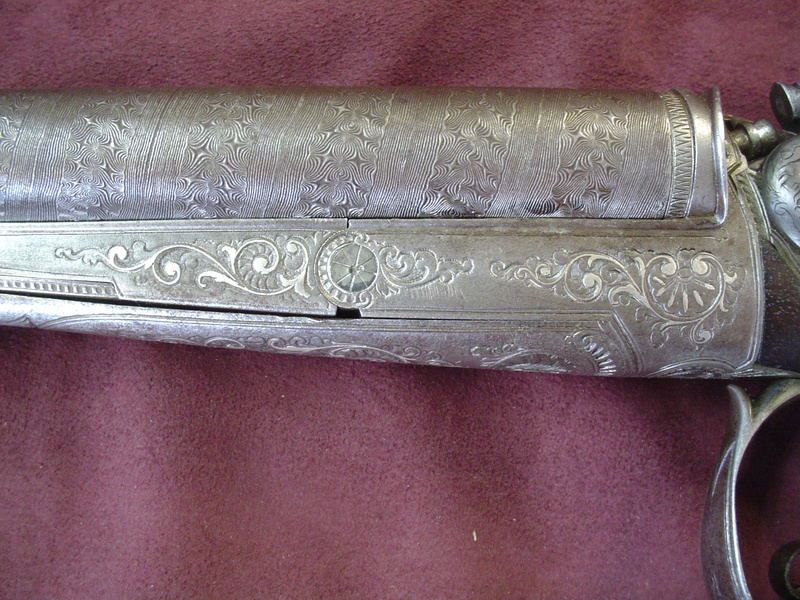 The left side view of the 16 ga. pin fire-center fire shotgun made in Begium and sold in Germany by Carl Teich. 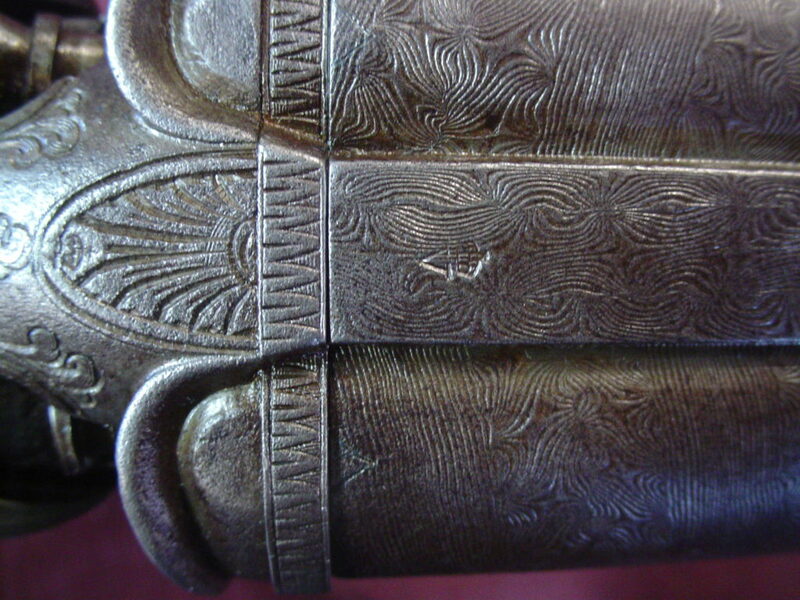 The top rib shows the German “Voratszeichen “= “stock mark” (V with a crown) of 1893 applied by local police authorities as a “Proof Exmeption Mark”.